Happily Stamping for Christmas with Mama Elephant (video)! Today is time for a new challenge at Mama Elephant & Me, and I was so excited when I received my new stamps that I just had to share it with you. Tis the Season to Gift! With the holiday season just around the corner. For November’s challenge, let’s start working on those cards & gift tags if you haven’t already! We want to see all sorts of tags! Have fun, stamp, stamp, stamp!! I would like to share my card and tag with the Anything Goes challenge at Simon Says Stamp. Other Supplies: Copics 0. E000,00,31,33,50,53.BG10,11,13,15. R02,05,20,22. W2. T0. Art Glitter – 250 White Satin. Hemptique Twine. 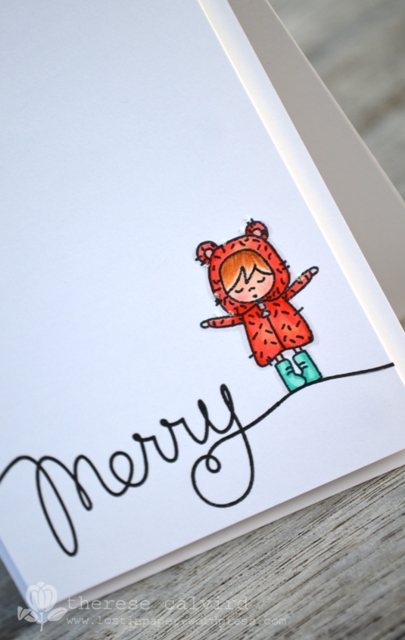 < Previous A Charming Winter Release at Purple Onion Designs! 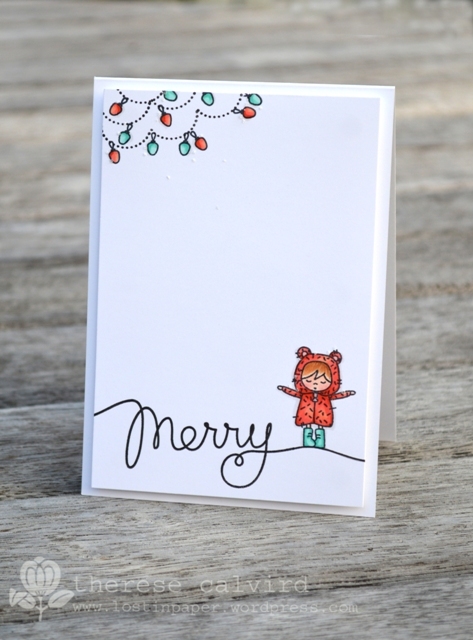 Next > Merry & Bright at Purple Onion Designs (video)! LOVE watching your videos! Thanks so much for sharing them! And Mama Elephant stamps are the sweetest! Love your card and tag, Therese! Such pretty colors and I love your CAS design on both! I love your tag and card. Looking forward to watching the video a bit later. I love Mama Elephant stamps and was so happy to see you use them! I love your card and tag. So cute, and such pretty colors too! 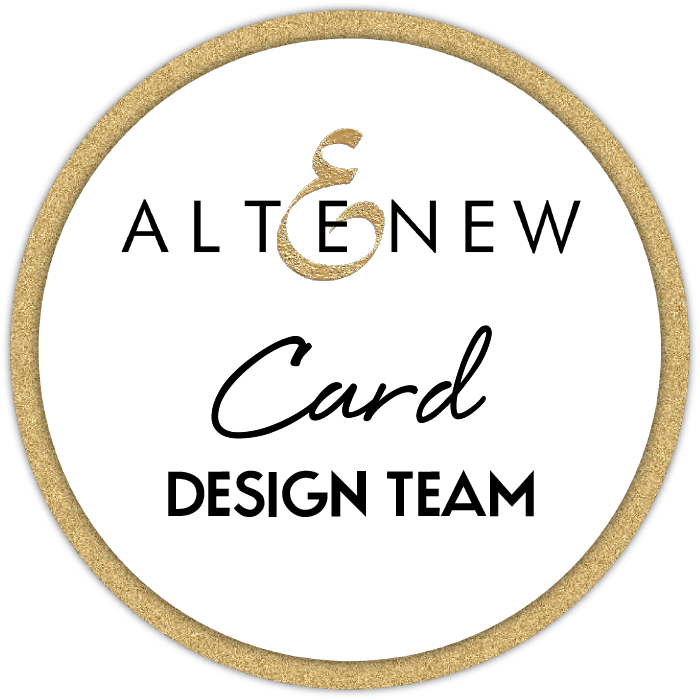 Your card and tag are so cute! That little girl is so sweet in her bear-jacket! Cutest card and tag, Therese!! Must re-post for more to see! Love it!! Cutest card and tag from Mama Elephant via Therese!! She does great copic colouring with this set! Very sweet card, I really enjoy your videos, keep them coming please. 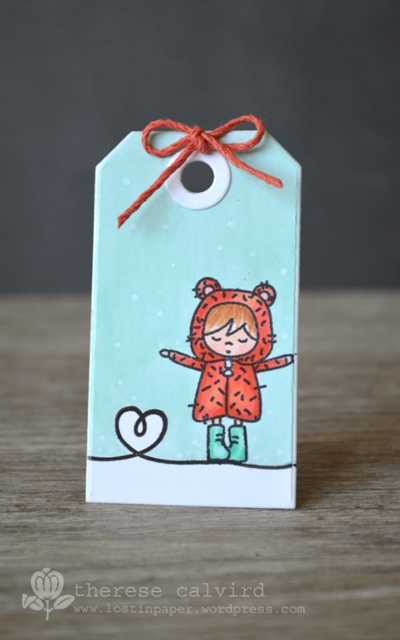 Lovely card and tag. Thanks. She is just so sweet! What a cute card and tag!! Love her standing on the Merry! So awesome!